http://g.co/maps/bx9t6Nesting in the lap of verdant hills, overlooking the Zuari River, the Campus is spread over an area of 180 acres. The location of campus is unique in the respect of scenic beauty and panoramic view of picturesque surrounding encompassing Zuari River, hillocks, waterways, forests and landscape. 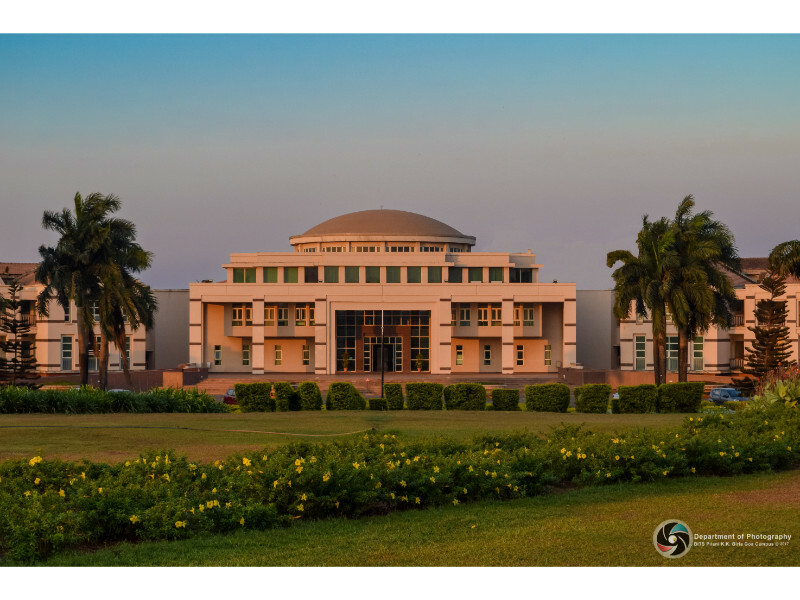 The BITS Pilani K K Birla Goa Campus, is about 10 kms south of Vasco-da-Gama, 20 kms north of Margaon and 7 kms east of Goa Airport, along National Highway – 17B, Bypass road. In the midst of idyllic, sylvan beauty, the Campus houses the Main building, having academic and administrative offices, Guest House, Hostels for boys and girls, Student Activity Centre, faculty and staff quarters, Medical Centre, Playground and Shopping Complex. The location of the campus is unique in the respect of scenic beauty and panoramic view of picturesque surroundings encompassing Zuari River, hillocks, roads, waterways, forests, and landscape. Please contact the respective hotels for details and other facilities included in the indicative tariff. BITS-Pilani, Goa Campus reference may be beneficial. However, our institute is not responsible for any booking /changes in the tariff. Rates valid only during admission time.